The Epson AcuLaser CX11N is a color laser multifunction printer that looks to provide print, copy and scan functions at an affordable price to rival other multifunction machines offered by other printer brands. 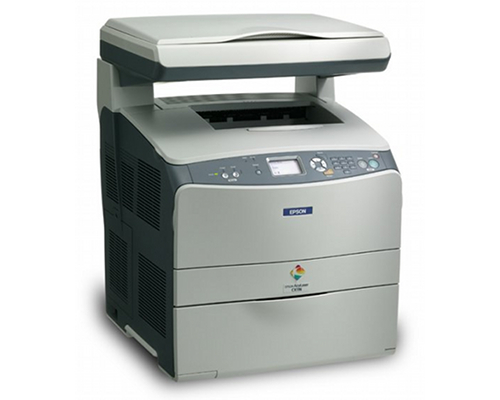 The Epson AcuLaser CX11N possesses features that should give home and office owners the luxury of owning a multifunction printer that costs similar to stand alone laser printers, yet be able to do much more to satisfy other significant office needs. The Epson AcuLaser CX11N has a respectable printer speed for monochrome prints, clocking at a rate of 25 pages per minute. 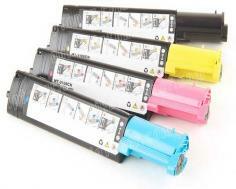 Color printing is up to 5 ppm. The Epson AcuLaser CX11N’s first print out completes at less than 9 seconds for monochrome prints, while color prints take less than 17 seconds. Memory for the Epson AcuLaser CX11N stands at 128MB, which can be expanded up to 576MB. Upgradable memory allows the Epson AcuLaser CX11N for increased productivity for all its functions. 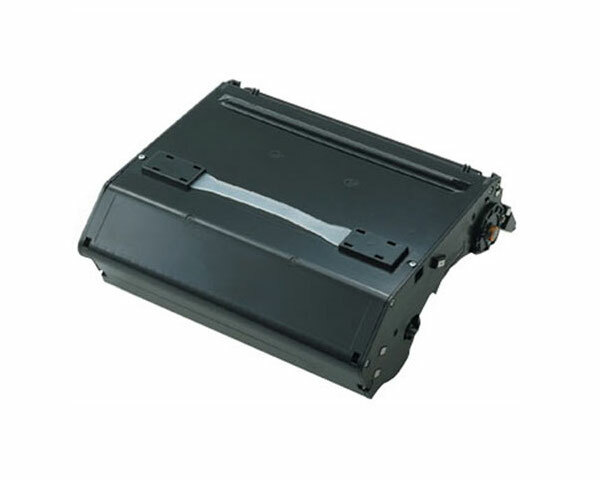 Paper handling is also quite flexible, with a 180-multipurpose tray for various media types, an optional 500-sheet cassette and a 250-sheet output tray. Paper size support is up to A4 types or legal size papers through an open multi-pass tray, while paper weight support is from 64 to 210 g/m2. For its interface, the Epson AcuLaser CX11N has a high speed USB 2.0 and a 10/100Base-Tx support. The impressive part of its print function reside on its resolution, as the Epson AcuLaser CX11N uses its own patented Epson AcuLaser Color 2400 RIT that produces high grade quality for texts, graphics and images. The standalone copier of the Epson AcuLaser CX11N produces copies with up to 600 dots per inch resolution, with copy speeds up to 25 ppm for monochrome and 5 ppm for color copies. First prints for monochrome can be less than 12 seconds, while it can take up to 29 seconds for color counterparts. Magnification and zoom options are also available for images with high resolutions, with a 25-400% range that can be moved at 1% increments. Magnification has fixed options of 78%, 86%, 100%, 115% and 154%. The scan feature for the Epson AcuLaser CX11N takes the best resolution available for its office functions, with up to 9600 x 9600 dpi for enhanced and 600 x 600 for optical. This allows the Epson AcuLaser CX11N to really take detailed images and produce vivid, high quality images. Color depth stands at 48-bit in and 24-bit out with a push scan option for PDF, TIFF and JPG files. Operating system support for the Epson AcuLaser CX11N includes Windows platforms up to Windows XP while Mac enjoys support from OS X 10.2.x up to the later versions. For a multifunction machine, the Epson AcuLaser CX11N is surprisingly compact, with its dimensions measuring 18.1" x 18.4" x 23.3" (WxDxH) and relatively light weight, registering 68 lbs. Though the Epson AcuLaser CX11N can be considered a worthy and a more inexpensive alternative to other high end and costly multifunction printers out there, it still has its downside. For one, its does not measure up to other multifunction devices when it comes to high volume production, not to mention that one would have to spend more to get an optional upgrade that, even when included, is still less compared to others in its class. Its copy resolution could also use an improvement, as its scan and print functions fare considerably well in that aspect. Unlike a number of other multifunction printers, the Epson AcuLaser CX11N also does not provide a fax function, a handy addition for offices or businesses that prefer their multifunction machines come in with a complete set of print, copy, scan and fax capabilities. Power consumption is also relatively high at 740 watts when running at a maximum performance, which adversely affects its being affordable and cost-efficient in print and copy costs. Review it: "Epson AcuLaser CX11N "
The consumables for the Epson AcuLaser CX11N include standard capacity toner cartridges for monochrome and color, able to yield 4,000 and 1,500 pages, respectively. High yield toner cartridges are available for the color cartridges, increasing yields up to 4,000 pages. A photoconductor unit that serves both monochrome and color is included, with 42,000 pages and 10,500 pages, respectively.